Superyachts China were one of the first yachting-related sites in English language to connect the growth of yachting in China with providing updates about news, suppliers and events. One such topic we’ve been following and will be providing in-depth reporting on is the Belt & Road Initiative and various events that aim to establish cooperation along the ‘Maritime Silk Road’ to develop marine tourism. 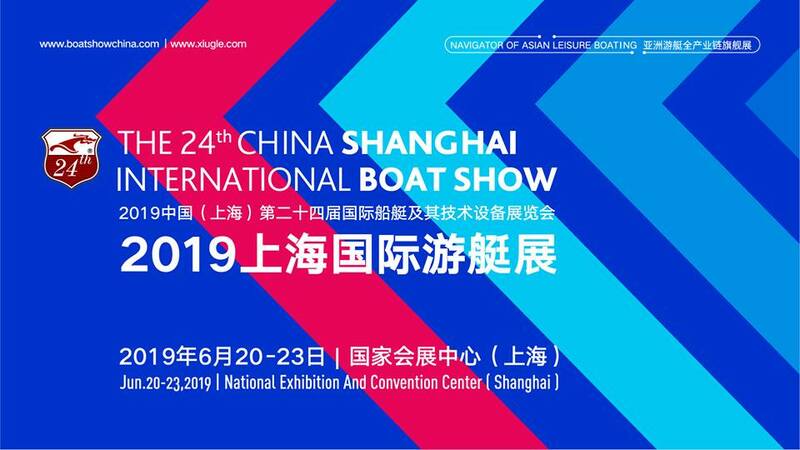 China (Shanghai) International Boat Show will be hosted in June 2019 in Shanghai and is an ideal platform for global yacht companies to reach Chinese customers and grow their brand in China. There will be around 600 exhibitors attending and over 30,000 visitors discovering new yachting products, marine services and lifestyle zones dedicated to outdoors, fishing and camping. Since 2010, Sanya has hosted the China Rendez-vous which has fostered interest in yachting alongside luxury showcases for jewellery, art, fashion and lifestyle. In September this year, the International Marine Tourism Culture Development Summit was hosted at the Hainan International Convention and Exhibition Center in Haikou. The summit took place during the Hainan International Island Tourism Trade Exhibition with a round table forum on the theme ‘Sea, land and air’. Yacht and sailing clubs, marine recreation companies and equipment suppliers all participated to discuss innovation, development and future potential. The first edition of the Marine Tourism Summit will be hosted at Raffles Hotel in Hainan from March 25 to March 27, 2019. Unfortunately, well-known yachting media based outside of China are reporting that the Marine Tourism Summit in Hainan is the first strategic summit for yachting, marine tourism and infrastructure in China – which is incorrect. There have been a number of events hosted in southern China over many years that have discussed strategies including the China (Hainan) International Marine Tourism Fair, Hainan International Tourism Island Summit of Cruise and Yacht Industry Development and China (Hainan) Marine Industry Expo. These trade events and summits have economic support and participation at a governmental level, rather than sponsorship from private companies or associations. Li Ning, secretary general of the Hainan Cruise & Yacht Association (HCYA), confirmed earlier this year at the Asia Pacific Superyacht Conference that the project is part of a long-term strategy to enhance marine tourism in China, using Hainan as an experiment and testing ground for boosting yachting appeal. Hainan Island (and Sanya) are well-known in China as a holiday destination and the coordination of tourism marketing, marina construction and yachting-related projects for Hainan will aim to grow the industry’s presence and focus on the region as both a yachting hub and international destination. Under the Belt & Road Initiative, the government plans to increase maritime clusters and trade in the Pan-South China Sea economic zone and beyond. The strategy includes measures to subsidise large-scale boat building, shipyards and marina projects with subsidies open to both domestic and international tenders. Currently, Hainan has 14 marinas offering over 1,800 berths for yachts up to 60 metres, with the project expecting traction over the next 3 years via new marinas and yachting-related activities. Singapore-listed company SUTL Enterprise Limited signed an MOU with the Hainan Cruise & Yacht Association last year to partner together to share knowledge of the yacht industry and best practices so hosting the Marine Tourism Summit in Hainan is a logical next step. SUTL Enterprise Limited already has 2 marina projects in China – one on a lake near Suzhou and they have a consultancy and management services contract for a marina under construction at Guishan Island near Zhuhai. Superyachts China will be sharing updates about the Marine Tourism Summit 2019 as it gets closer to the event.